I have been extremely fortunate to have discovered and be selected for the Williamsburg Aviation Scholarship Program (WASP). Prior to my involvement in WASP I had been a part of a different program but, despite a strong desire to learn to fly, I simply could not afford the costs of flight training. Luckily, I was told about WASP by a friend. Being a part of this program has been such a blessing to me, allowing me to pursue my dream of becoming a pilot without being held back by the high costs of flying. The application process was fairly simple. After submitting my application to my school counselor I was interviewed for entrance into the program. The interview went well and when I found out I was accepted I was ecstatic. Flying at the Williamsburg Flight Center over the past 9 months has been some of the most fun I've ever had, while challenging me at the same time. Every landmark in my flying has been exhilarating, from the first time I landed without any help, to my first solo, to my first cross country flight. On my solo cross country flight, it was crazy to realize that I was in another state with no way to get back but the skills I had gained throughout the course of my training. That had a major impact on increasing my confidence which spread to other areas of my life. My instructor, David Otey, has been easy to work with and is a great teacher remaining calm through what seemed at times to me to be very stressful situations. He has pushed me to be better while at the same time assuring me that I am doing well and praising my progress. Also, learning to fly while most of my friends are learning to drive has earned me the respect of many of my peers. Once people find out that you are a pilot, everyone wants you to take them up for a ride. In the future I hope to use my pilots license professionally as an emergency services pilot (search and rescue, medevac, etc.) Additionally, I intend to become a flight instructor in college to help pay for school and build hours and experience towards my goals of flying professionally. 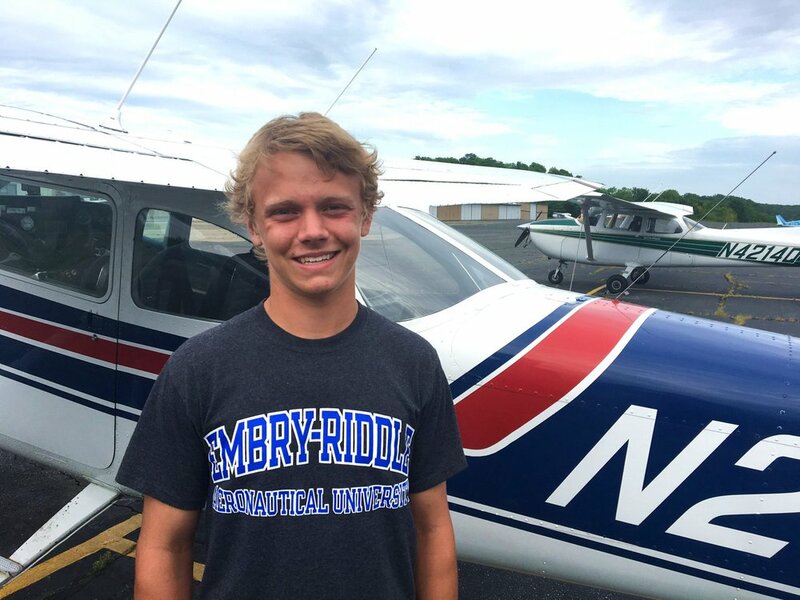 This scholarship program has been an enormous help towards obtaining my pilot's license and I recommend any with an interest in flying should apply.